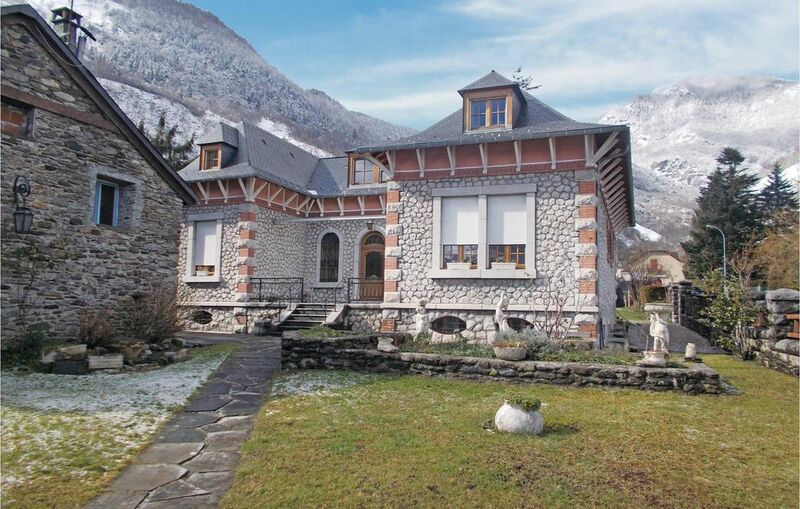 In the heart of the splendid Ossau valley, you will discover the village of Laruns where you will spend unforgettable holidays in a charming apartment of a property (the friendly owner lives on the ground floor). You will enjoy an inviting terrace offering beautiful views on the mountains. Summer and winter, many activities await you: cinema, covered public pool, exhibitions on the Falaise aux Vautours, health cures with hot springs, hiking or horse riding, canoeing, fishing (with a license or not) in the Gave (a fishing day pass is available), ski, snowshoeing... Make sure to take the famous little train of Artouste (20km) for spiralling up to 2000 meter high and admire a breathtaking panorama on the Pic du Midi d’Ossau! Do not forget to taste the local specialties such as the garbure, the poule au pot or the mountain cheeses in the nearby restaurants. Pau is 40 km away, the ski resort of Gourette is 15 km and you can even go for a day trip to Spain.